The Duppy Share is a unique golden blend of premium Caribbean rums. 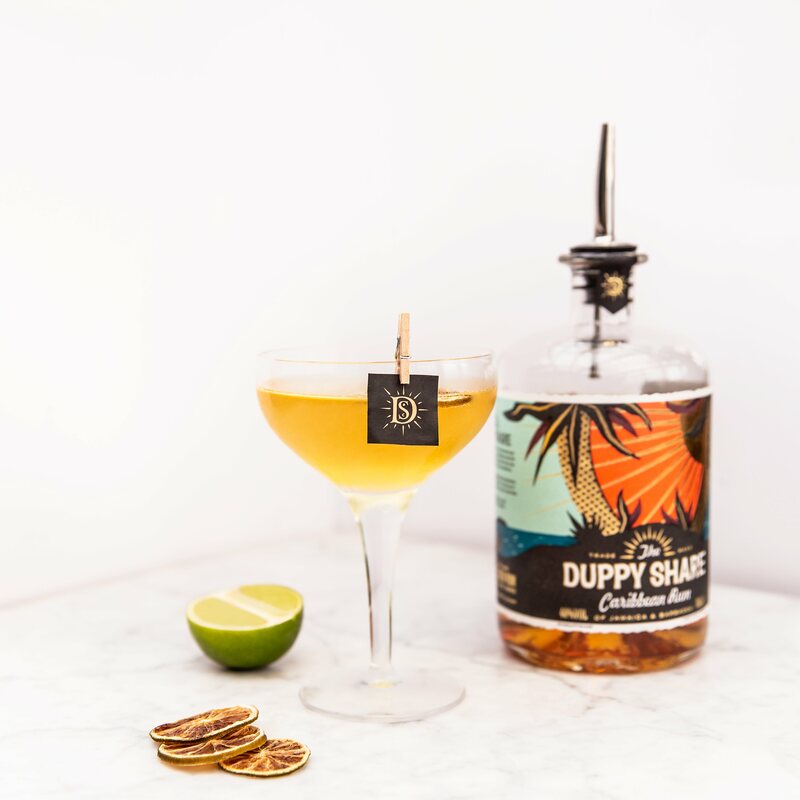 Two contrasting island styles are expertly paired together; a fiery rum from the beautiful Worthy Park Estate in Jamaica, and a smooth rum from the prestigious Foursquare Distillery in Barbados. The result is a perfectly balanced rum which is the ideal partner for punch and other rum cocktails. 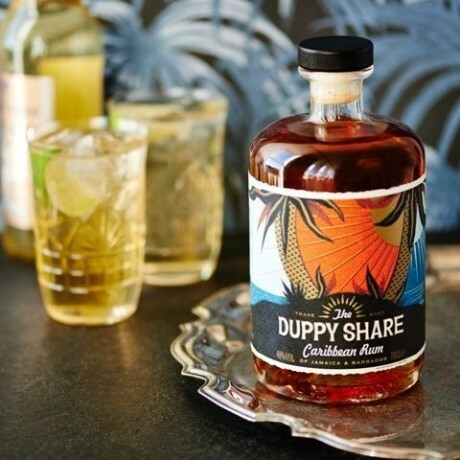 Big, bold flavours from the 3-year old Jamaican rum come first, bursting with tropical fruit flavours. Then comes the smooth 5-year old Barbadian rum to give a warm and buttery finish. 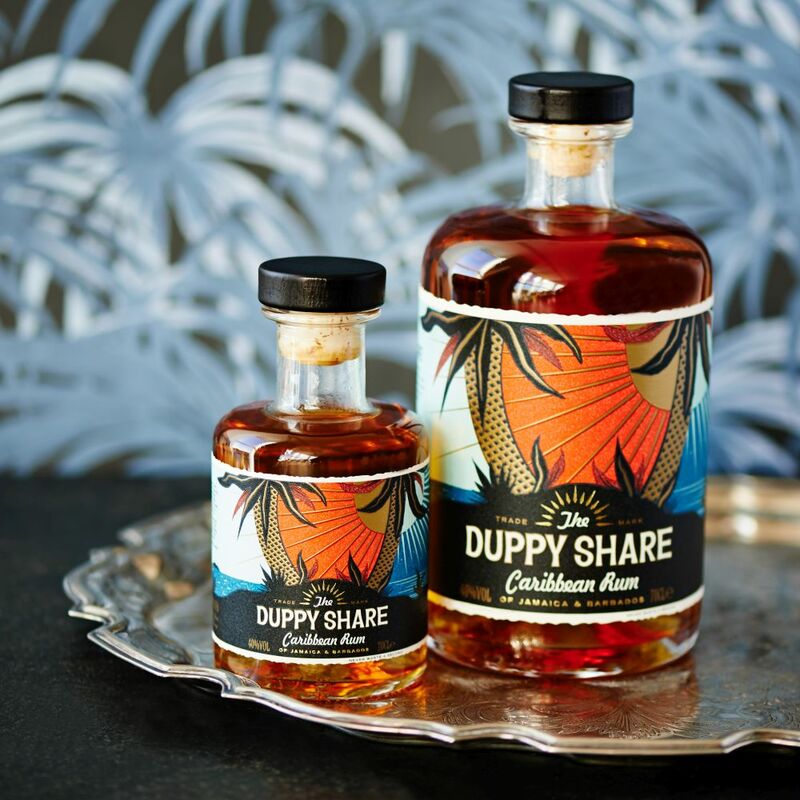 Winner of a Gold and a Silver award at The Rum Masters - The Spirits Business, and a Silver award at the International Wine & Spirit Competition. The Worthy Park Estate grow their own sugar cane and distill and age their rum on site. They use a traditional copper pot still and age the rum in oak bourbon barrels for a rum with exceptional flavour. Foursquare Distillery use a combination of continuous and pot still distillation, and age it for five years in old bourbon barrels, in order to give it a unique character. Available in 70cl or 20cl bottles, choose using the option available. Top-notch rum - beautifully balanced, strong enough in taste to be drank on its own, but not overpowering in a cocktail. Love the bottle design a well. Highly recommended. 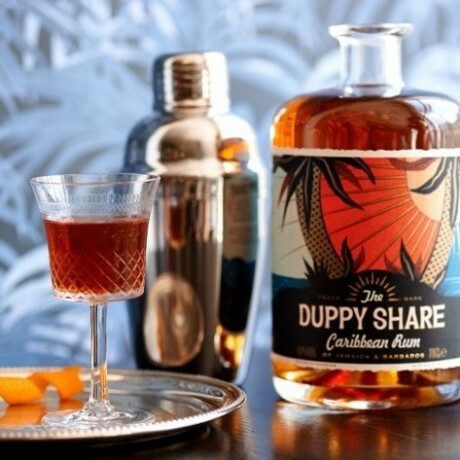 This product is dispatched by The Duppy Share. This item has a shipping weight of between 2g and 2g depending on the options selected.